Rainshower® Next Generation Solo is the result of extensive consumer research – which clearly indicated that the Rain spray pattern is by far the most used and appreciated of all available sprays. Surrounded by a ring of GROHE StarLight® chrome, the single spray is intuitive and honest and delivers the unique benefi ts of GROHE DreamSpray® for an unparalleled shower. 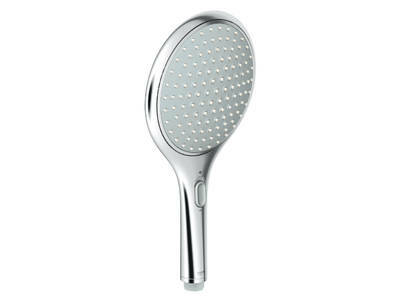 The large spray face is easy to care for thanks to the SpeedClean nozzles, which prevent the build-up of limescale. 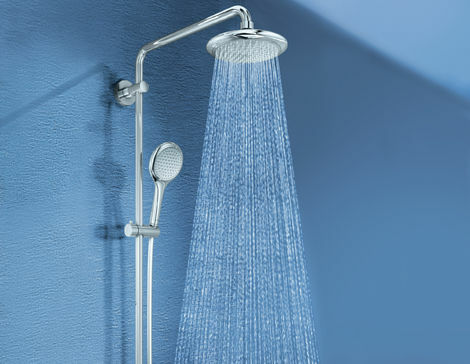 Do you want to touch and feel Rainshower® Next Generation Solo for yourself? Find a showroom in your area.